This grade II listed, gothic-revival cemetery chapel is located within the main cemetery at Bridlington, East Riding of Yorkshire. It was built in 1879 and was designed by the architect Alfred Smith of Nottingham. At present, various windows on the chapel have been boarded up so I have made best judgement as to the tracery scheme and replicated the decorated tracery throughout. 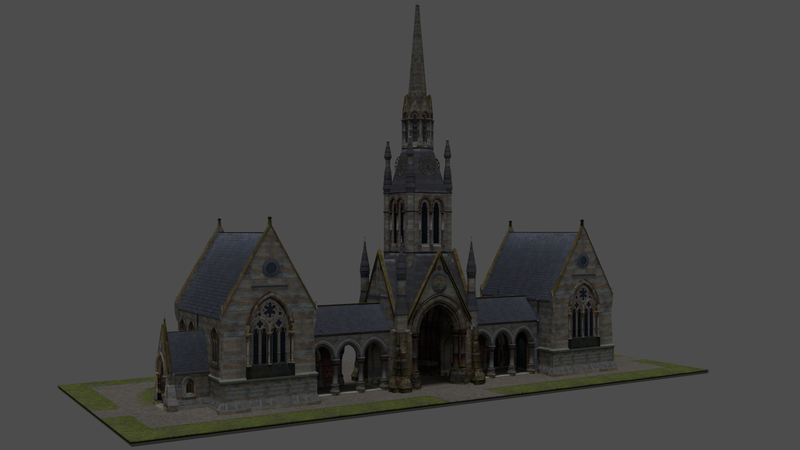 Although this is mainly an artistic, architectural representation I may consider expanding the model to include sections of the cemetery, complete with gravestones and foliage. This model (personal project) was created with Blender using my own photographs as reference.